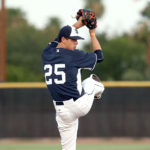 Hunter Renfroe Interview: Still Hands Will Lead to Big Year? 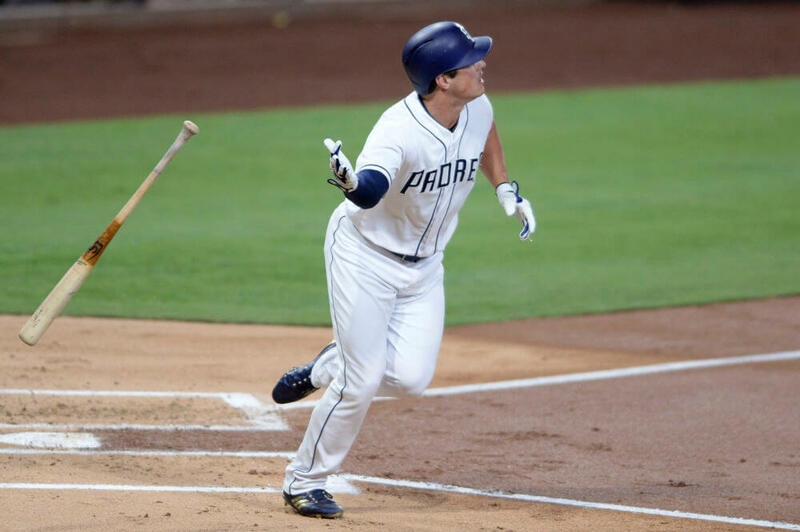 Most San Diego Padre fans have been waiting for an offensive breakout from slugger Hunter Renfroe. The power he displays can be amazing at times. The ball just jumps off his bat as if it were a golf ball. The is no doubt about his prestigious power, but the young outfielder has yet to completely turn the corner as far as production is concerned. 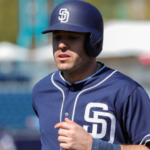 On Friday, I saw Hunter in the Padres’ locker room and we spoke for a few minutes. The man is 100 percent healthy and ready to roll. That is the first thing he told me. He is obviously excited for the season to begin. 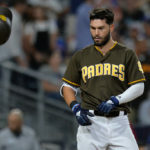 Before the signing of Eric Hosmer, Renfroe was assured a starting job. However, now that Wil Myers is in the outfield, things got a bit dicey for him. 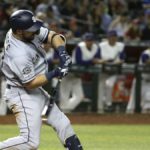 There is a ton of outfielder possibilities this coming season and Renfroe now will need to battle for a roster spot. My first question was about the possibility he could be moving to left field. I wanted to know if he had a preference in the outfield. “It’s whatever. Wherever I can help the team, that’s what I am going to do.” This was an expected response from the outfielder, as he battles this spring. We next discussed Matt Stairs and his addition to the Padres’ family. Stairs is the new hitting coach, and I was curious if he had made an impact on Hunter already. “We have been talking a lot. We have a good relationship. We’ve talked about a few things. Calming down my swing a little bit. Keeping my hands still. And getting a better rhythm at the plate.” Very good stuff here as Stairs is trying to get the slugger to be calm at the plate. 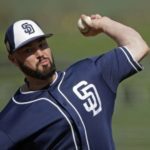 If Renfroe can keep his hands still, he could be in store for a very productive 2018 season. He reiterated the fact that his hands were important, as we continued to talk mechanics. I asked if his hands were a major key for him in his swing. “Yes. Absolutely. Keeping them as still as possible.” There you go. The hands are certainly a key. Hopefully he can transition that to the major league level and enjoy a breakout year in 2018 for the Friars. We next spoke about competition in camp. 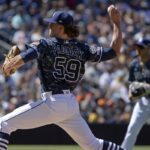 There is plenty of it going around currently as the Padres attempt to settle their 25-man roster. “Competition is always great for the clubhouse. It brings out the best in people. Feels good to be competing for a position. All these guys can make the 25-man roster. It’s gonna be rough for the guy that doesn’t make it.” He is right. The 26th and 27th player on the squad come late March will be very disappointed. Andy Green has indicated many times that these players need to keep their heads up. The manager speaks about how upwards of 40 men are going to be needed for a successful season. Speaking of the young manager, I asked Hunter his thoughts on Green and what he has picked up from him over the past few seasons. “He is a competitor. He is what he is. He loves to win. 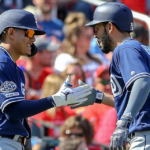 You really have to respect that for sure.” Andy Green is intense and expects a lot from his players. 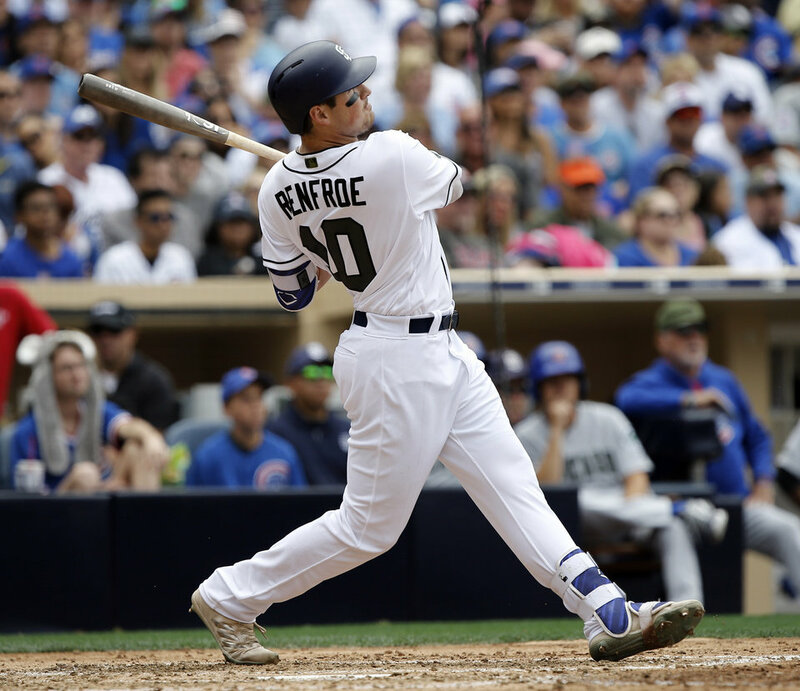 Renfroe knows that and is prepared to do what it takes to solidify his position on the team. In closing with Hunter, I asked him about bat flips and why such a prodigious power threat as himself doesn’t partake in the festivities. He laughed about the question and responded pretty quickly with. “I’m not too big on bat flipping. (laughing) I’ll leave those to Wil. I do have a good jog (around the bases) though.” With his new adjustments at the plate, we could see more “jogs” this season from Hunter Renfroe. Jog On, Big Boy !! Thanks James for the solid interview!!! !